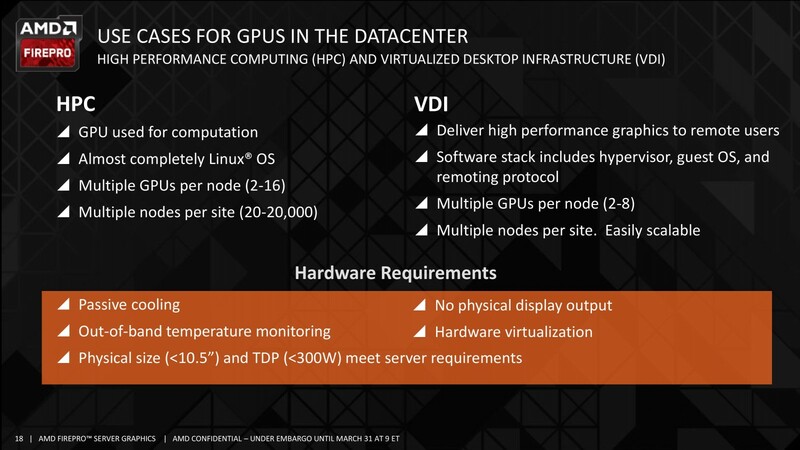 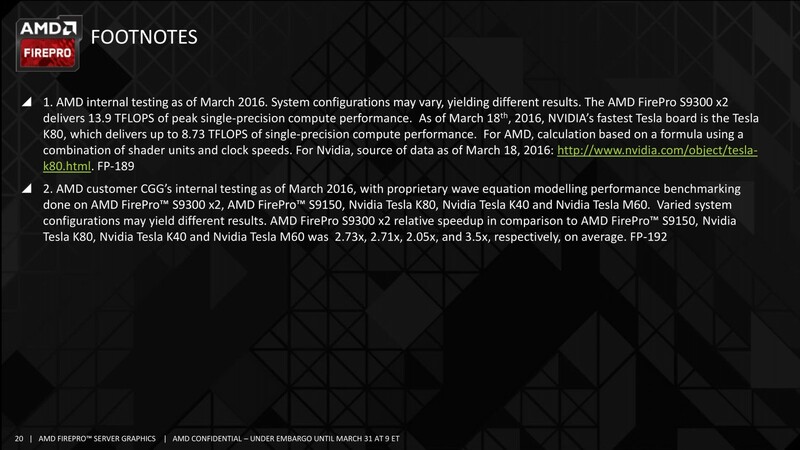 By looking at the specs you might experience a deja-vu. 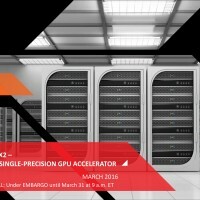 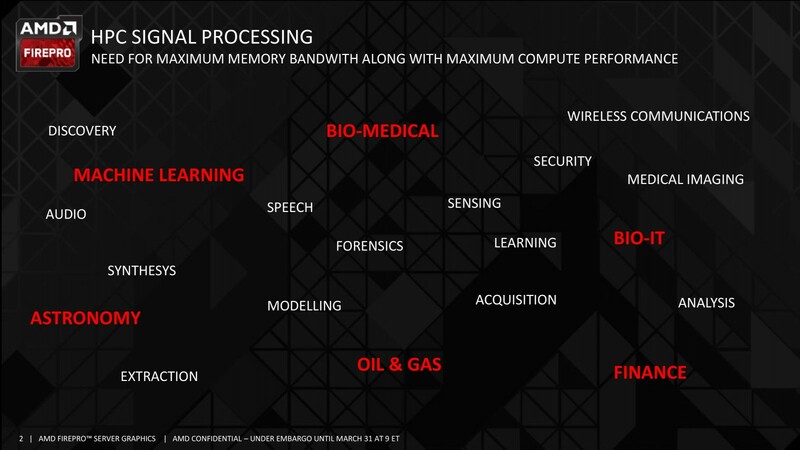 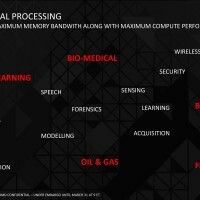 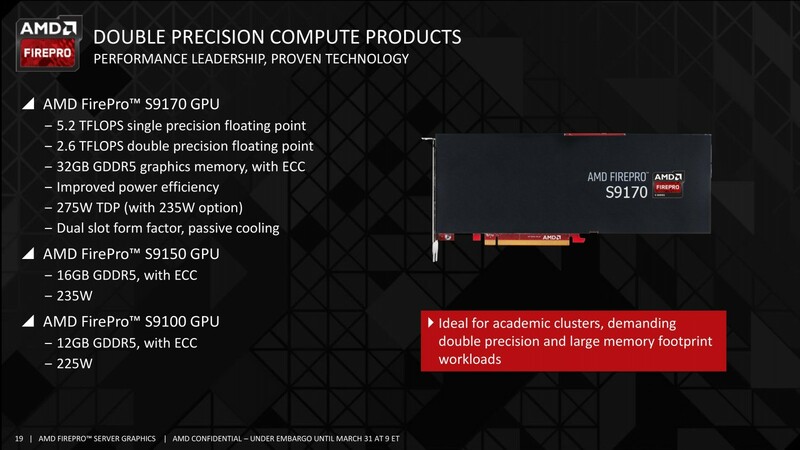 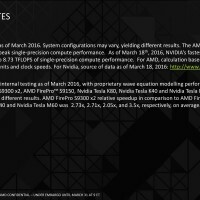 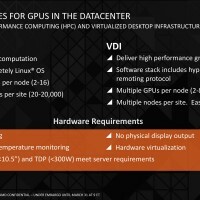 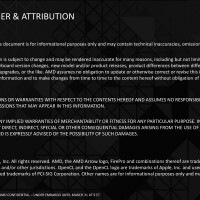 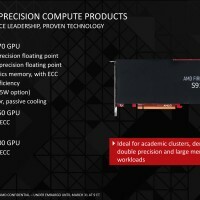 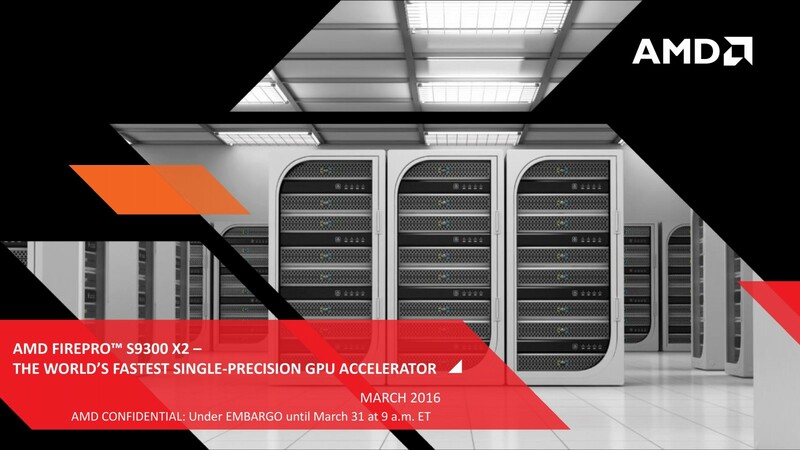 Just 2 weeks ago AMD released Radeon Pro Duo, equipped with two Fiji graphics processors. 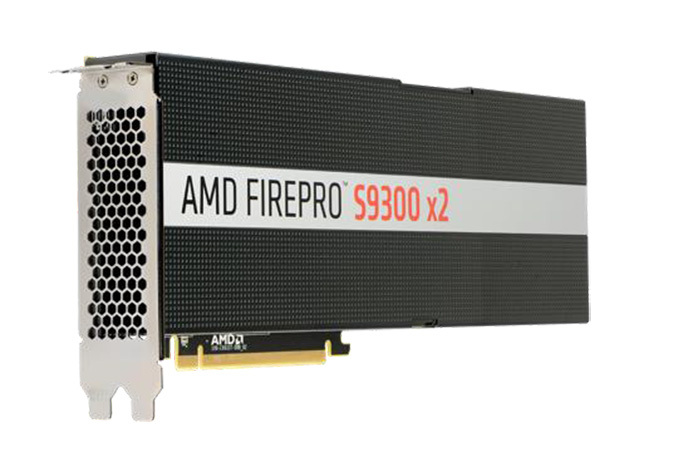 The FirePro S9300 X2 is essentially the same card, but aimed at different market and with slightly different specs. 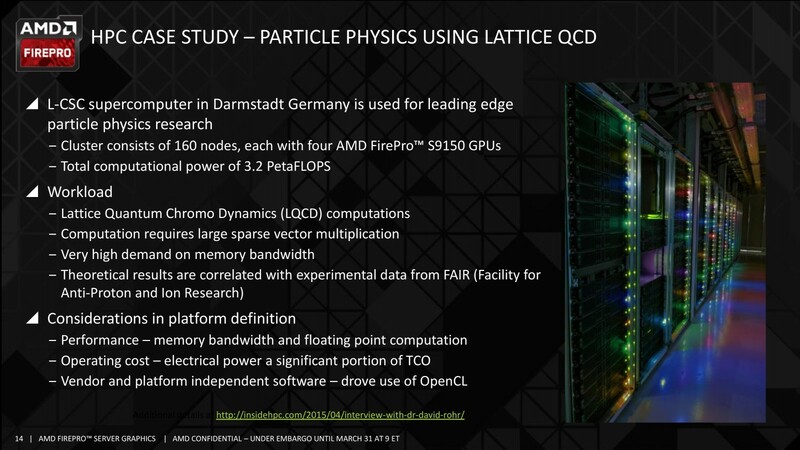 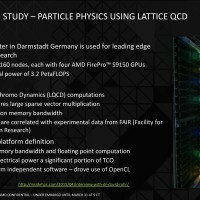 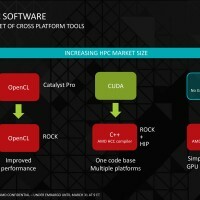 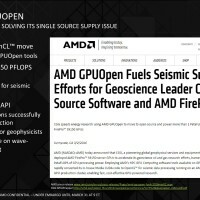 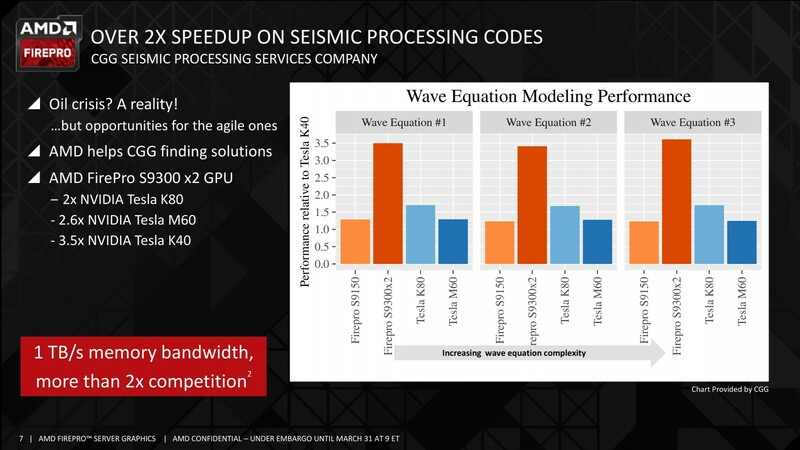 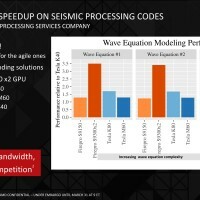 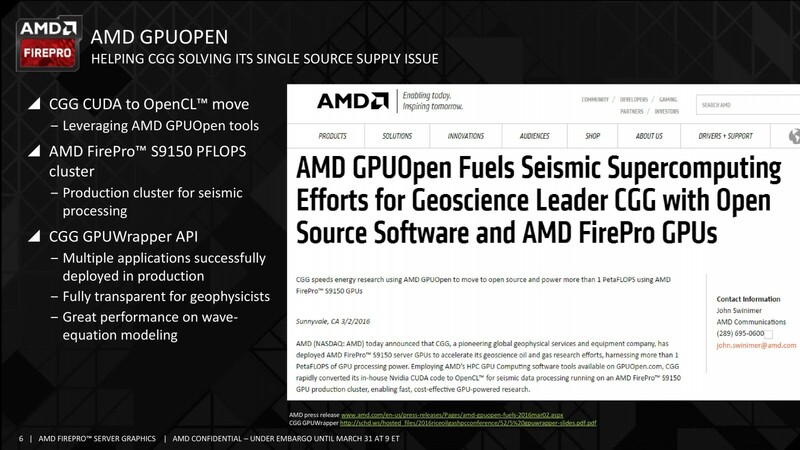 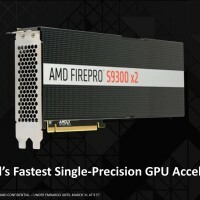 The cores configuration has not changed and we are still getting full-fat Fiji cores, each with 4096 Stream Processors. 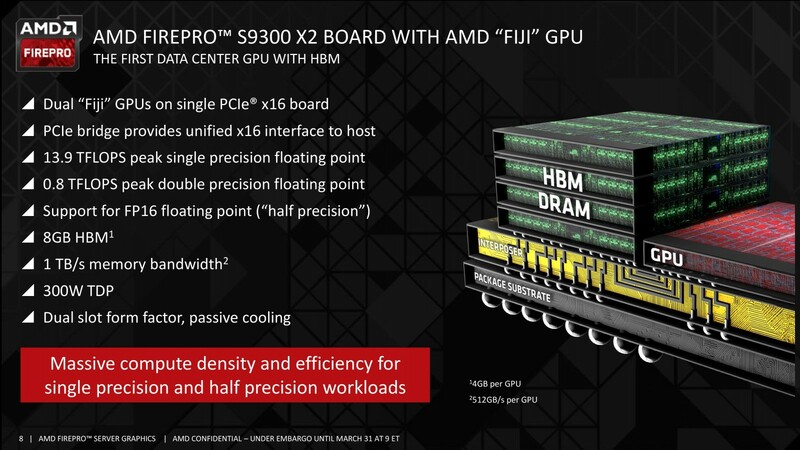 The same memory configuration is also present (2x 4GB HBM 4096-bit). 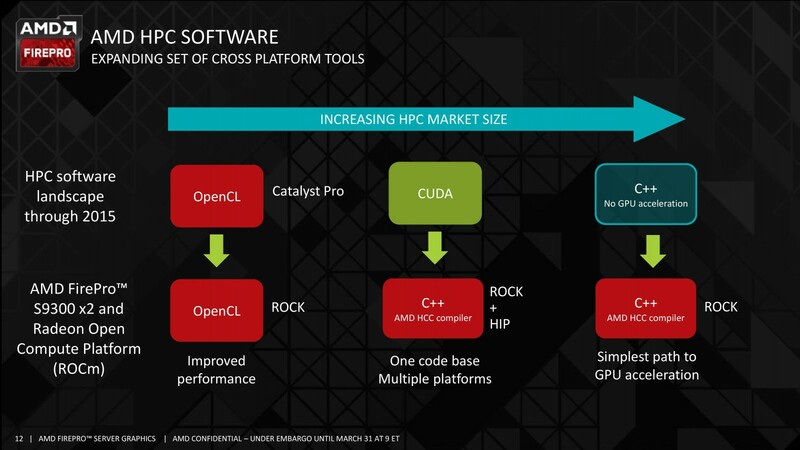 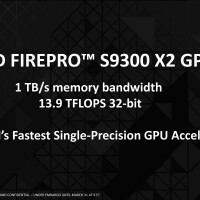 However, S9300 X2 has lower computing power (13.9 TFLOPs) than Radeon Pro Duo, which has 16 TFLOPs of single precision computing performance. 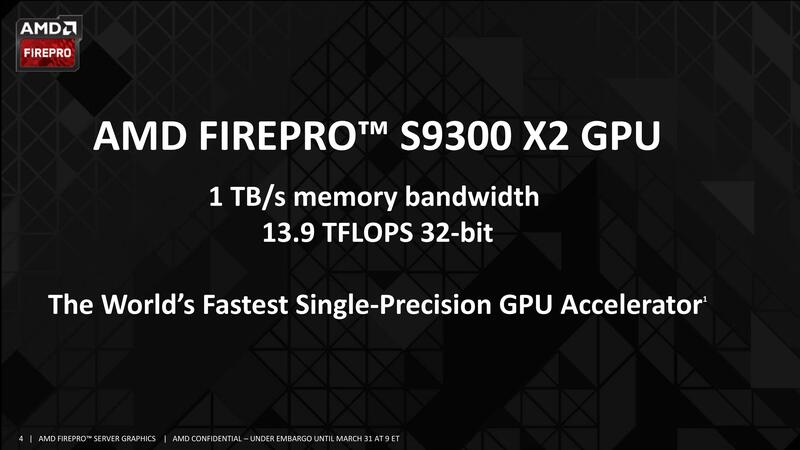 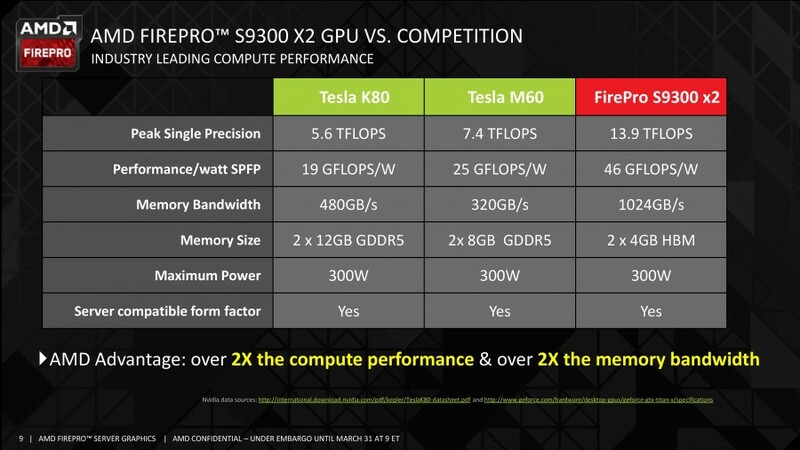 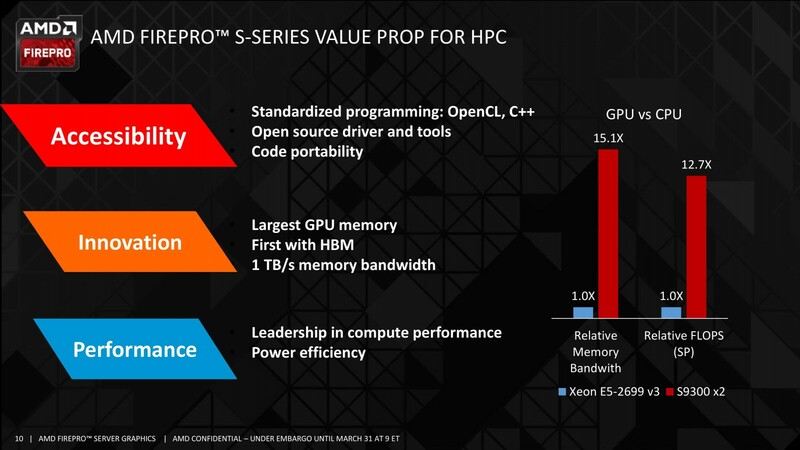 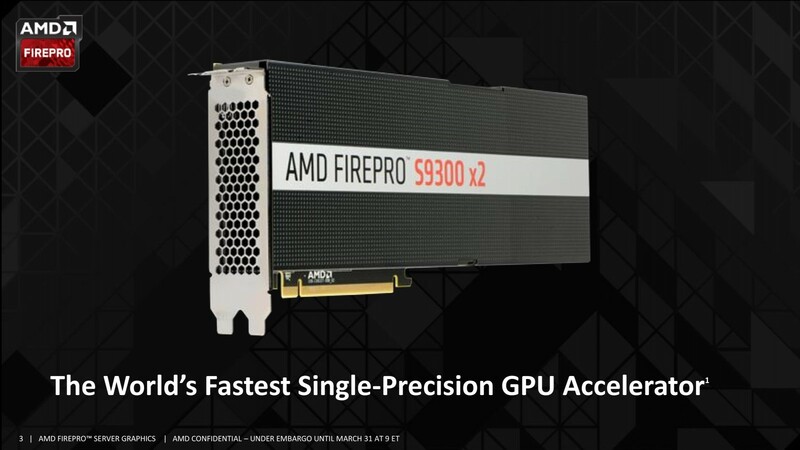 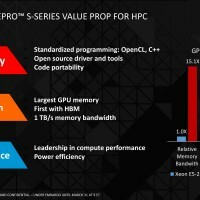 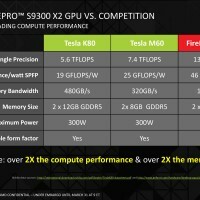 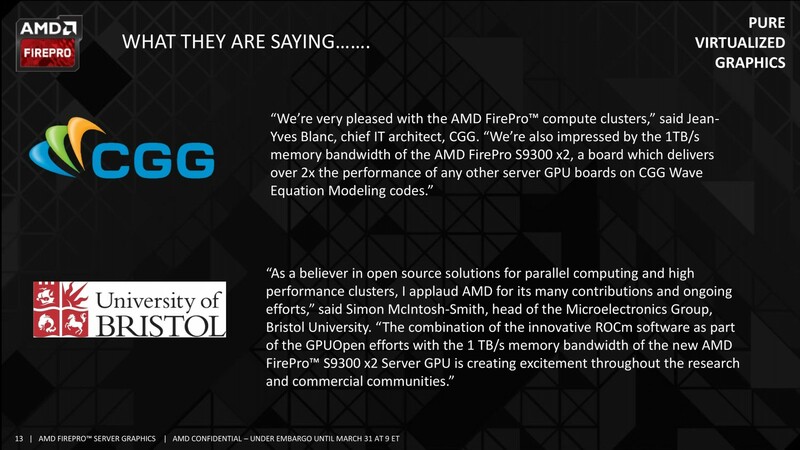 Technically FirePro S9300 X2 clock speeds are similar to R9 Nano’s, which in most cases is limited to 850 MHz. 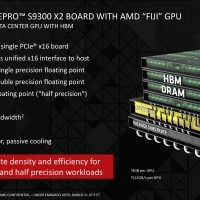 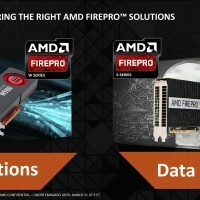 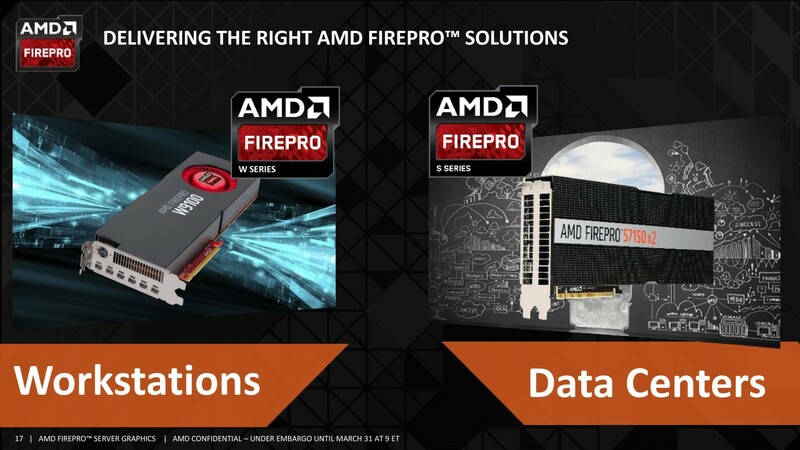 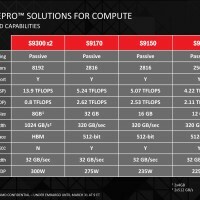 Interestingly the new FirePro card has passive cooling solution, which compared to powerful hybrid water-cooling from Radeon Pro Duo, give us the idea of how adjustable Fiji core can be. 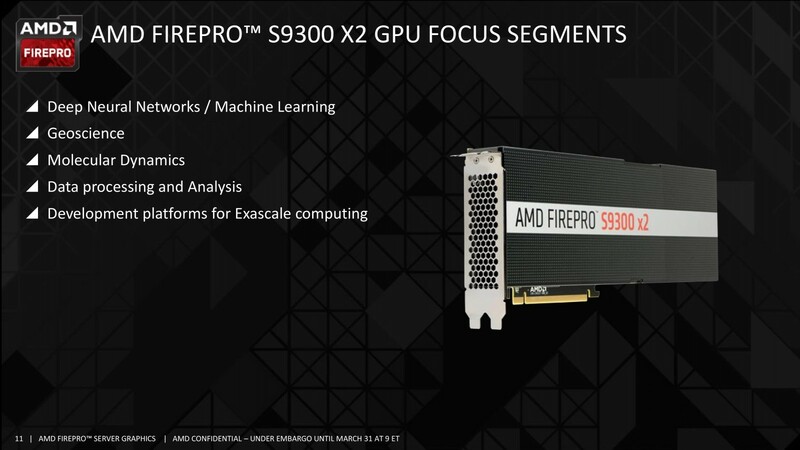 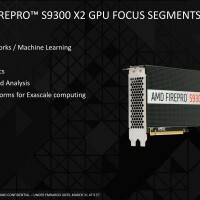 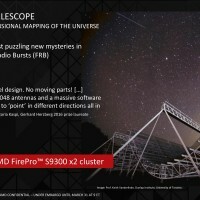 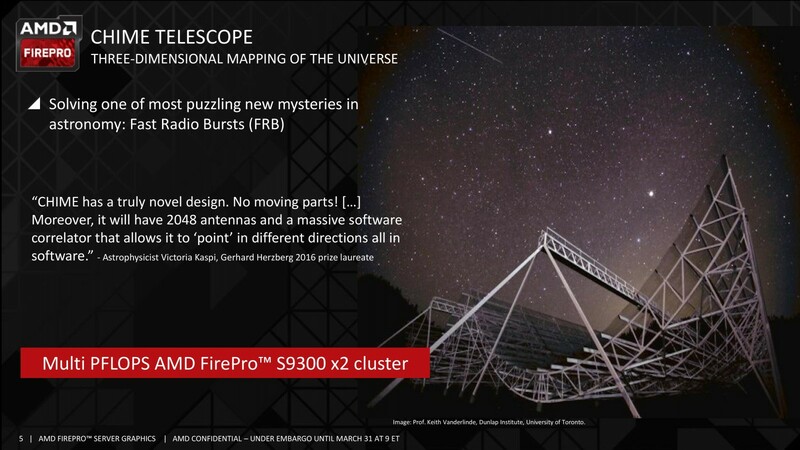 Fire Pro S9300 X2 is focusing on FP32 computing, which widely used in Deep Neural Networks, geoscience or molecular dynamics. 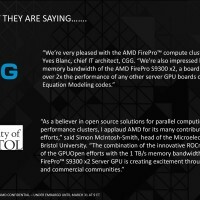 In fact, it is so computing oriented that it will not output any display signal on its own, as it was not equipped with any connectors. 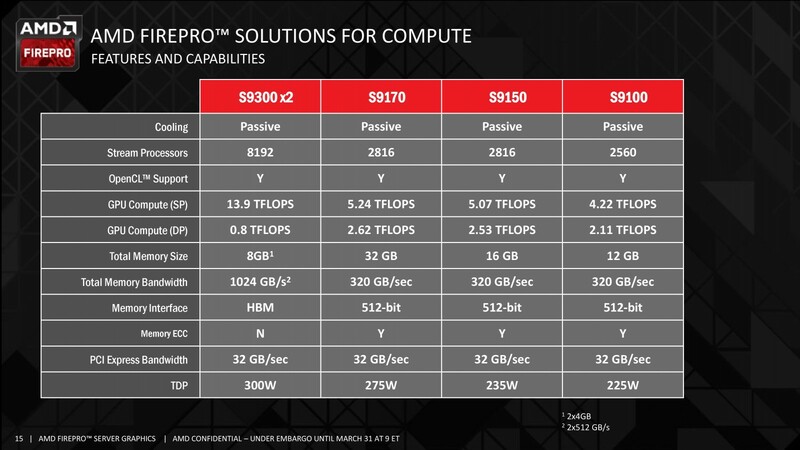 Radeon Pro Duo’s staggering price of 1499 USD is nothing compared to S9300 X2, which will be sold for $5999.